When fans go to a professional sporting event today, they expect more than just the game being played on the field. Announcers, contests, lighting, sound – and most of all, jumbotrons – have become the norm at professional and college arenas. Traditionally, this has been controlled by a large team of production staff in a control booth packed with monitors, keyboards, controllers, and other pieces of specialized equipment that can take years to fully learn to use. This game-time experience can cost millions of dollars in specialized equipment and personnel, putting this experience out of reach for many high schools and colleges across the country. But that is all changing with ScoreVision. ScoreVision brings jumbotron technology to the gyms and fields of high schools and colleges of any size and budget, on a platform built for students, parents, and volunteers to control. Gone are the days where it is a necessity to have expensive, highly specialized staff who are stuck in a packed control booth while all the action is on the floor. ScoreVision’s iPad-based scorekeeping and event production software are designed to be the most user-friendly, intuitive apps available on the market – they’re so easy that students and parents can get the hang of it in minutes. ScoreVision's scorekeeping and event production software can be used alone to produce an enhanced game-time experience, or the software can be combined with equipment and skillsets you already have to augment the experience you offer to fans. 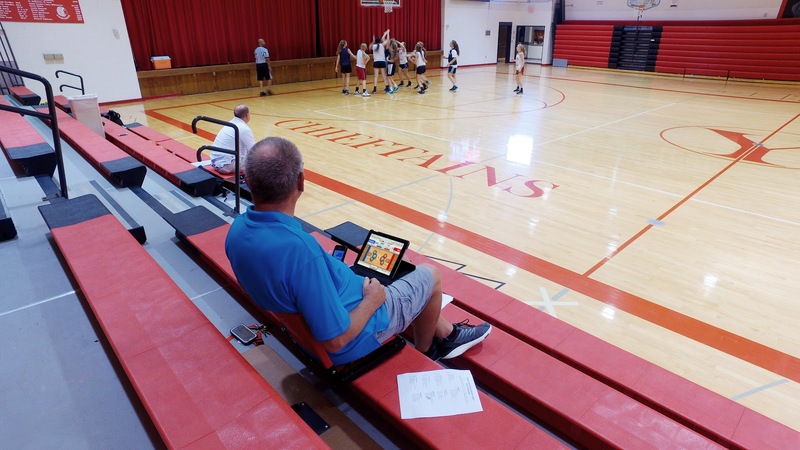 The familiar iPad-based apps make it incredibly easy to produce a professional-level event in your high school or college facility – as few as one to two people can run the show using iPads right on the sideline. Plus, students get the opportunity to learn industry-standard video editing and graphic design software and skills, which can be showcased on ScoreVision jumbotrons for their community to see. The simplicity of ScoreVision’s software doesn’t mean sacrificing cutting-edge capabilities like live video and instant replays – live video streaming comes standard with a ScoreVision system and instant replay capabilities are supported by our software. Watch our short video below to check out these features in action and see behind-the-scenes footage at schools producing amazing game-time experiences with ScoreVision jumbotrons and software! Producing engaging professional-level events doesn't have to mean expensive control rooms full of specialized equipment – with ScoreVision software, students and parents can now produce this experience right from the bleachers! If you’re ready to upgrade the fan experience at your school or facility, contact us today!